If you're looking for ways to expand your social media presence and engage your audience online, Facebook video may be the solution. The property sector has a particular advantage with video marketing because its products are inherently visual. Whether you're selling a turn-key property, renovating an historic building, or leasing an apartment, there is an opportunity (and need) to show buyers the product. Creating videos for Facebook is a great way to engage your target audience and nudge prospects toward making a decision about your property. Is this to drive brand awareness? Is this to engage your audience? Is this to generate leads? Is this to drive loyalty? Is this to drive sales? When you know what the goal is, you can work backward to develop the strategy. A video for brand awareness might be a spotlight of your property managers explaining what they do for clients. A video for engagement might be a time-lapse of a project from start to finish. A video for lead gen might be a how-to on staging your house for first-time home sellers. The exact concept depends on your area and your goals. However, starting with a strategy is the key to creating a video that's focused and effective. Facebook isn't a professional network per se, but that doesn't mean you should throw DIY videos together at the last minute and expect them to be a hit. Neither is it a good idea to spend a ton on production value when the video is meant to be a flash in the pan. To keep it professional, make sure the person who is filming has a steady hand and understands the basics of composition, film in a quiet location to keep the audio crisp, and choose presenters who have good screen presence. Is your video going to be educational, emotional, or funny? A study found that 30 percent of people are less likely to skip a video if the content is humorous. Being funny is a great approach to grab people's attention. But if humour doesn't fit with your brand image, try a tutorial. Time-lapse videos are having a moment on Facebook, and this format has a lot of potential for businesses in the property sector. Create a time-lapse that walks viewers through the process of staging a home, how a building transforms throughout a renovation project, or different ways a space can be used. You only have a few seconds to get to the point and grab viewers' attention before they get distracted by the something else in their Newsfeeds. A study by Consumer Insights and Microsoft Canada determined that the average human attention span is now eight seconds. The success of your video hinges on the first scene and whether it's compelling enough to get users to bite. This is where a lot of companies miss the mark and fail to see results. Businesses with otherwise interesting content will post long, rambling videos that don't get to the point for minutes. It doesn't matter if the content is good overall. People aren't going to sit through it. When you're editing your Facebook video (and yes, you should edit your video before you publish it on social media), make sure to cut it down to two minutes. Vidyard states that you lose the majority of viewers before the 30-second mark, and audience members continue to drop off after that. Even the most dedicated viewers are unlikely to stick around for a four-minute video that you've created, no matter how interesting the topic. Be respectful of your viewers' time by limiting the footage to two minutes. They say you can't judge a book by its cover. Yet, we all do it anyway. To get good results with your video, pick an attractive thumbnail. That means going through the footage to find something eye-catching. Perhaps it's an excellent shot of the finished product you're presenting. Or, it might be a screen capture of the moment when you hand buyers the keys to their brand new property. Whatever it is, it has to be enticing and attractive. You will get better results if you upload the video straight to Facebook, rather than first uploading it to YouTube and then sharing the link on Facebook. Data collected by Quintly shows that Facebook native videos receive four times more interaction than videos uploaded from YouTube, Vimeo, or other sources. It's an easy trick to significantly increase engagement. Facebook now supports 360 videos and pictures that give viewers an augmented reality experience. This could be the ideal format for showing properties. Viewers can pan and rotate the images to really explore the property from all angles as they near a decision. Although the camera technology required to film a 360 video is pretty advanced, all you need for a 360 picture is a smartphone that supports panoramic pictures. How many times have you had an interested buyer who can't make it to the property when you're available for showings? Filming a Facebook Live video could be a great solution for virtual showings. 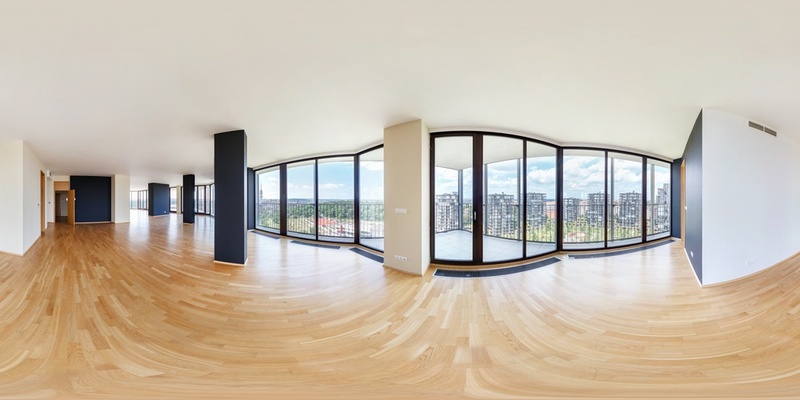 You can broadcast the live walk-through of a property and invite prospective buyers to watch it from wherever they are at the time. After you're finished, the video posts to your Facebook Page and will be saved there until you delete it. When you post videos on Facebook as a business, you have the option to include a call to action (CTA). This is how you capitalize on the interest you've generated with the video. Choose a CTA to direct viewers to shop your listings, book a showing, learn more about you, etc. It tells them exactly what to do next if you've managed to pique their curiosity. 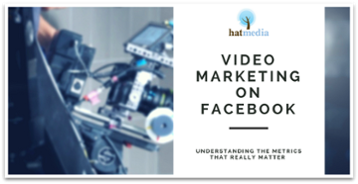 Video marketing on Facebook is already huge, and your business has much to gain by getting involved. If you want more tips on how to stand out and get ahead online, check out our blog or contact us. 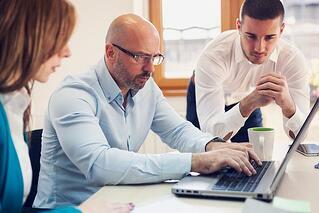 We can help you develop the best marketing strategies for your company.